SAN MATEO, CA--(Marketwired - Sep 17, 2015) - Guavus, Inc., a leading provider of big data applications for operational intelligence, today announced that Google's former Head of Reporting Platform & Solutions for Corporate Engineering has joined the company as its new Chief Technology Officer (CTO) and Sergey Sukov has been appointed Vice President Engineering & Delivery. "Anupam and Sergey are important additions to the Guavus executive team as the company gears up for the next phase of growth into new markets, new products and new geographies," said Anukool Lakhina, founder and CEO of Guavus. "Their strong track record of developing rock-solid products based on big data analytics, coupled with their backgrounds in building scalable, dynamic enterprise architectures, keeps us at the forefront of innovation and prepares us to meet future customer requirements for real-time analytics applications that deliver business value." Anupam is a 30-year veteran in the Information Technology industry and has a wide range of expertise across multiple fields, including data engineering, data management, data warehousing, business intelligence & analytics and enterprise architecture. As CTO, Anupam is responsible for leading technology innovation for the company's core systems and enterprise architecture groups. Anupam most recently served as Head of Reporting Platform & Solutions for Google's Corporate Engineering group where he was responsible for spearheading an award-winning cloud-based self-service reporting platform from inception to adoption. 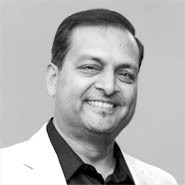 Prior to Google, Anupam gained valuable experience in different capacities at NetApp, Cisco, and Oracle, and has been an innovator in areas ranging from BI strategy to enterprise/functional architecture and product/solution management and delivery. Anupam holds a dual Masters in Computer Science and Physics from BITS Pilani. Sergey is taking on a newly expanded role at Guavus where he is responsible for Engineering & Delivery of the company's analytics applications. 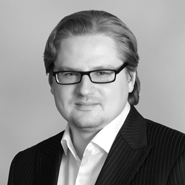 Prior to joining Guavus in 2013, Sergey held several key executive roles at Symphony Teleca. Most recently he was Vice President, Head of Connected Experience Business Unit, where he was responsible for business development and creation of portfolio of services to help clients manage the global convergence of software, the cloud and connected devices. He was also Head of North America Delivery, providing software engineering services to major mobile OEMs and Carriers and Vice President, Delivery Head of Applications Practice at Teleca, where he was responsible for global delivery of products and services where he managed software engineering teams in US, China, India, Russia and Poland. Sergey holds a Bachelor of Science degree in math and a Master of Science degree in applied math and informatics from State University of Nizhny Novgorod, Russia. Guavus solves the world's most complex data problems. Proven across Fortune 500 enterprises, Guavus provides the only operational intelligence platform that delivers an end-to-end, real-time view across business operations. The Guavus Reflex® operational intelligence platform correlates and analyzes massive petabytes of streaming and stored business, operational and sensor data from multiple, disparate source systems in real-time. The resulting "live" operational analytics are fed into a new generation of analytically powered big data applications to address specific business problems for network, marketing, customer care, security and the Internet of Things. Guavus products make our customers more agile, competitive and profitable by transforming them into real-time, data-driven enterprises. About this company Guavus, Inc.